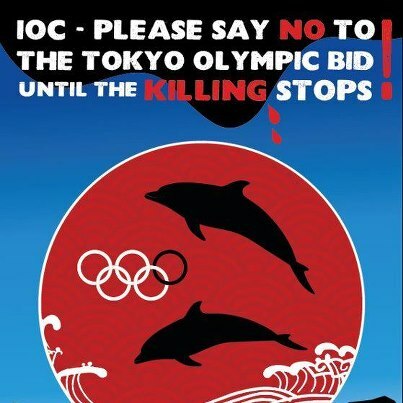 This morning after being driven for over two hours, a pod of 100-110 Striped dolphins was netted into the killing cove. 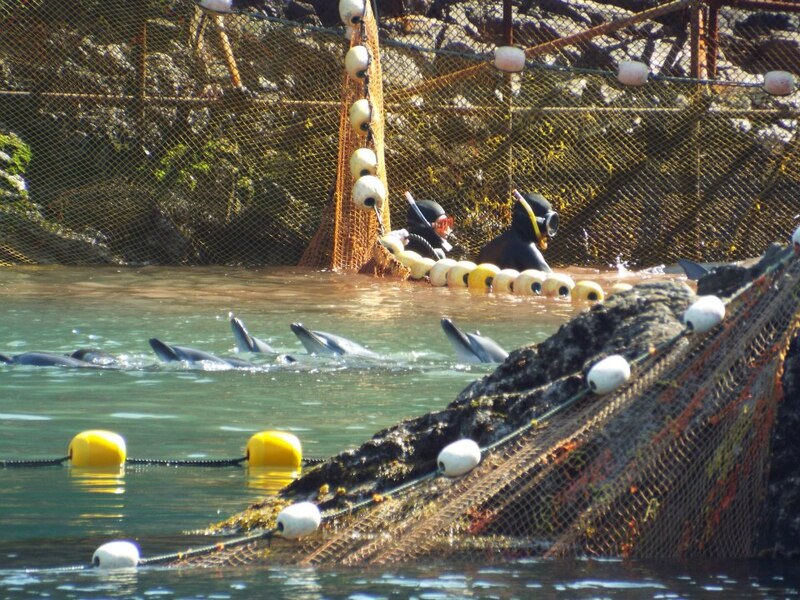 This family was divided within the cove and slaughtered one by one in front of each other. The last of the pod was forced to swim in their podmates’ blood. A total of 80-90 were brutally slaughtered. A metal rod was hammered into their blow hole and paralyzing them as they either suffocated by lying on the shore or drowned by having their flukes tied with rope and dragged by skiffs. It is a inhumane, lengthy and painful way to die. 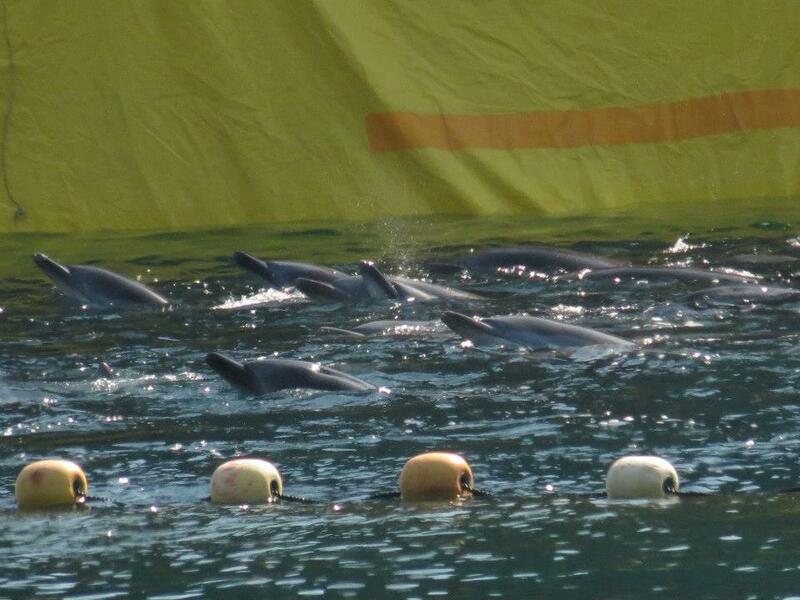 20 dolphins still living were held for several hours before being driven back out to sea. The chance of their survival is slim after the exhaustion and stress of the drive and witnessing their family being slaughtered. No words can describe the cruelty and hatred shown to these beautiful and innocent beings. Today was horrific but it was just another work day for the killers of taiji. Our livestream footage can be viewed at taiji.ezearth.tv — at Taiji, Japan. I have checked and cetabase has not been updated since 5th February. They were still able to take 216 striped dolphins then so even if they sluaghtered 90 today, they can still take a further 126 before they reach the quota. This entry was posted in Dolphin, Taiji Terror Tales and tagged dolphin, japan, League Against Cruel Sports, Taiji, Taiji Terror Tales. Bookmark the permalink.